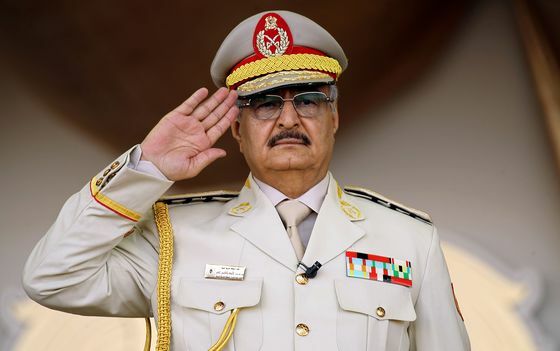 (Bloomberg) -- For a man who this time last year was lying in a French hospital gravely ill, Khalifa Haftar has made a startling comeback. The Libyan warlord, 75, has moved his forces to the gates of Tripoli when he was supposed to be preparing for an international peace conference aimed at ending eight years of turmoil. Dismissed at first as a feint to win an advantage in those talks, Haftar’s offensive now looks all too serious, even to his own foreign allies. There are few signs he’s listening to international calls to stand down his troops. Dozens have died and many more have been wounded, the international airport was briefly shuttered after airstrikes, and Libya has again convulsed oil markets. For Haftar, assuming control over the capital is more than a matter of pride. His previous advances left him holding most of the OPEC state’s oil fields and terminals, but all the country’s key institutions are in the capital, including the central bank and the National Oil Corp., a source of funds that could propel his push for overall power. “Today we shake the ground under the oppressors. We hear your call, Tripoli. Now is the time for the Great Victory,” the strongman said in a speech as his army approached the capital. The choice of words, redolent of the Koranic phrase used to describe a victory by Muslim Prophet Mohammad who conquered Mecca after years of exile, was not lost on his audience. Haftar is variously said to have been born in Tarhouna, not far from Tripoli, or in the eastern city of Ajdabiya. He began his army career under King Idris before helping to oust the monarch and install a young military officer called Moammar Al Qaddafi in 1969. He received training in the Soviet Union in the late 1970s, and led Qaddafi’s forces in an ill-fated mission in Chad as the two countries fought over a strip of territory rich in uranium and minerals, according to a 2014 profile. Haftar was captured as a prisoner of war in 1987 and apparently abandoned by Qaddafi. That spurred a fallout between the two men that lasted through his release and a two-decade exile in the U.S., much of it in Langley, Virginia, home to the Central Intelligence Agency. Claims by his opponents that Haftar was recruited as a spy haven’t been substantiated. He returned to Libya after the start of the NATO-backed uprising against Qaddafi in 2011 but remained a marginal figure in the revolution. In 2014, he spied what he believed was his chance to grab power. Qaddafi had been dead for three years and Libya’s government had disintegrated. 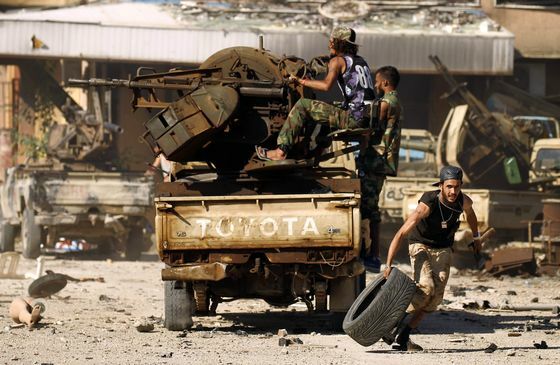 Haftar announced a coup and called for an uprising against the Islamist-controlled parliament in far-off Tripoli. His attempt fell flat, prompting ridicule. But he’d landed on a marketing pitch that would, at various times in his career, win him the support of the U.S., Russia, France, the United Arab Emirates, Egypt and others: Haftar billed himself as the strongman who could crush political Islamists. When the coup on Tripoli failed, Haftar amassed what forces he could find and launched an assault on Benghazi, the largest city in the east. Islamist militants had taken root in the city and the ageing commander vowed to oust them. Branding himself as a Libyan answer to Abdel-Fattah El-Sisi in Egypt, the field marshal turned president, he portrayed the country’s struggle as one between jihadist militants and non-Islamists, rather than the more complex reality of a nation fractured politically and dotted with militias with competing loyalties and political agendas. His mix of disciplined troops, militiamen irregulars, and Islamic puritans instilled with the belief of absolute fealty to the commander -- his self-styled Libyan National Army -- seized Benghazi in 2017 after a grinding battle. Haftar’s forces then moved on to Derna, where Al-Qaeda-aligned Islamists held sway, defeating them with French and U.A.E. support in a battle that lay waste to the city. The LNA spread its control across the oil crescent in the east, home to most of the crude export terminals. Then, in a lightning operation in January, they took the south, co-opting groups along the way rather than fighting them. With a United Nations-backed peace process underway, the timing of his offensive on Tripoli rattled even his supporters, and some allied officials and diplomats have privately questioned his state of mind. But they also say he’s the only man to back in what’s become a proxy battle for influence in Libya. Egypt and the U.A.E. see him as someone who can successfully oppose Islamist groups supported by Qatar and Turkey. France has also offered support, hoping he will confront militants spreading insecurity throughout the Sahel. Anyone looking for clues as to how Haftar might proceed need only look to his history. At his core, he’s always been a military man, not a politician. He’s a throwback to an era of pan-Arabist military-backed leaders who seized power across the region from the 1950s. And his sights have always been set on the capital. “Haftar has now committed all his forces to the war,” said Wolfram Lacher, a Libya expert at the German SWP research center. “For him it is all or nothing."